Wedding season is in full swing and you know what that means? Yep. You know it! Hair, nail and beauty time! With the help of apps like Pinterest and Google, you can find an array of choices to select from for the big day. No matter the hairstyle, nail shape or make-up preference–the possibilities are endless. Regardless if you’re the bride or a bridesmaid, weddings cost a lot. This summer Charisma Salon & Day Spa wants to help you out with some great Bridal Deals! Oftentimes, when preparing for a wedding, the behind the scene work for a bride goes unnoticed. Sure, we have to take into consideration the cost of the venue, the dresses/tuxedo’s and where you’re going to live, but every bride wants to feel like a princess on their wedding day. That’s where Charisma steps in. We not only beautify the bride but also offer bridal deals for the wedding party, too! We know how important this day is for you and want to make it as stress-free as possible. We also specialize in hair extensions and waxing services! Deciding on a bridal look? 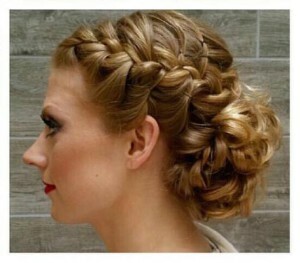 Let Charisma Salon be your “go-to” place for your wedding! We want to make sure that your wedding is a special day and we want this to be a memory that lasts a lifetime. If you are interested in learning more or would like to set up an appointment, please do not hesitate to contact us or give us a call at 734.464.8686! We look forward to making your big day a very special one. Please note this is a gift card REQUEST form ONLY. We currently do not have the capability to process online orders. For faster service please call 734-464-8686 for phone processing or someone will be contacting you via phone shortly. Thank you! Would you like to join our mailing list for exclusive deals? Our professionalism and reputation has earned us many loyal customers. We are proud to offer a complete line of services as well as professional products. Charisma Salon & Day Spa has been frequently recognized for its excellence. Fall Hair Trends From Charisma Salon!